In the past decade, toxins produced by various species of Clostridium were reported to disrupt the ACTSK by ADP-ribosylation of either actin, as does the C2-toxin from C. botulinum (Aktories et a/., 1986; Reuner et ai, 1987), or the small GTPase Rho, as does exoenzyme C3 from the same bacterium (Aktories et al., 1987; Chardin et ai, 1989). However, neither of the C. difficile toxins was found to have any ADP-ribosyltransferase activity (Florin and Thelestam, 1991; Just et al., 1994b; Popoff eta/., 1988). Fig. 2. Toxins A and B from Clostridium difficile are glucosyltransferases. They transfer one glucose-moiety from the co-substrate UDP-Glc to small G-proteins belonging to the Rho-subfamily of Ras-related GTPases somewhere near Asn-41, which is the site of C3-mediated ADP-ribosylation, and is located in the putative effector region of this GTPase. The molecular mass of ToxB-modified recombinant Rho was subsequently shown by mass spectrometry to be 162 Da higher than unmodified Rho. Since this difference corresponds to the molecular size of hexoses, but the size of the required cytosolic factor was >500 Da, a number of sugar nucleotides were tested for cofactor activity. It turned out that UDP-glucose (UDP-Glc) was the essential cytosolic co-substrate, while other UDP- or GDP-hexoses did not promote toxin-induced Rho-modification. Both the C difficile toxins were then shown to transfer in vitro one glucose moiety from UDP-Glc to recombinant Rho, Rac and Cdc42 (see Fig. 2), i. e., to each of the three subtypes of small G-proteins within the Rho family (Just et a/., 1995b,c). Other members of the Ras superfamily, such as Ras, Rab and Arf, were not glucosylated. Thr-37 in RhoA was shown to be the unique amino acid target for the glucosylation. Monoglucosylation of Rho inactivated the molecule, which upon microinjection into cells behaved as a dominant negative Rho species, causing disassembly of actin stress fibers and the actinomorphic cell rounding characteristic of the C. difficile toxins. In contrast a [T37A] mutant Rho was inactive but not dominant negative in similar microinjection experiments (Self et a/., 1993), suggesting that the glucosylation confers this functional change. A speculative explanation is that glucosylated Rho may bind tightly to an effector or guanine nucleotide exchange factor, thereby sequestering the interacting protein (Aktories and Just, 1995). Whether Rac and Cdc42 are also attacked in vivo in cells remains to be seen; the morphological effects induced by microinjection of glucosylated Rac or Cdc42 have not yet been described. The interesting finding that the CPE caused by the C. difficile toxins is due to glucosylation of Rho proteins has been recently confirmed in our laboratory using a different approach. We used a C. difficile toxin-resistant mutant cell line, which had been isolated after chemical mutagenesis and selection with ToxB (Florin, 1991), and showed that its toxin-resistance is due to a UDP-GIc deficiency. This protects the mutant cell against other glucosyltransferase toxins as well (see section 12.6). After microinjection of UDP-GIc into toxin-treated mutant cells they became sensitised to toxin B (Fig. 3), as well as the related lethal toxin (LT) from C. sordellii (Chaves-Olarte etal., 1996). 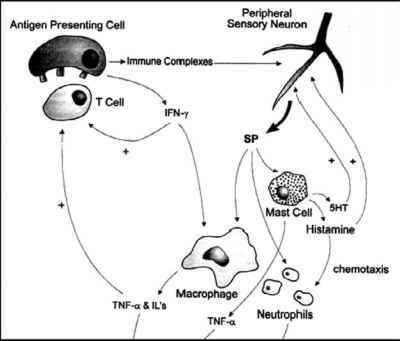 In conclusion, an exciting novel cytotoxic mechanism of action has been described for the C. difficile toxins. The possibilities of understanding the pathogenesis of C. difficile disease should increase, and the toxins should be useful tools in basic cell biology (section 12.7). 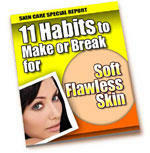 Habits to Break and Habits to Maintain for Dazzling Skin. As you all know, our skin is the obvious appearance of who or what we are, or perhaps would like to be. However, it is more than just a simple mask.